All versions require Battle.net DRM and a constant internet connection for all game modes, as well as a free Battle.net account. 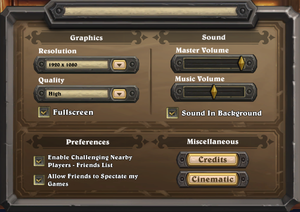 The "full screen" option in-game is borderless by default. There is no normal full screen. Add "vsync=1" or "vsync=0" to the configuration file to turn it ON or OFF. Labeled as "Sound In Background". Can switch between US and UK English. Support for Windows XP and Windows Vista will be dropped some time in 2017. The game will no longer run on these versions after this change.